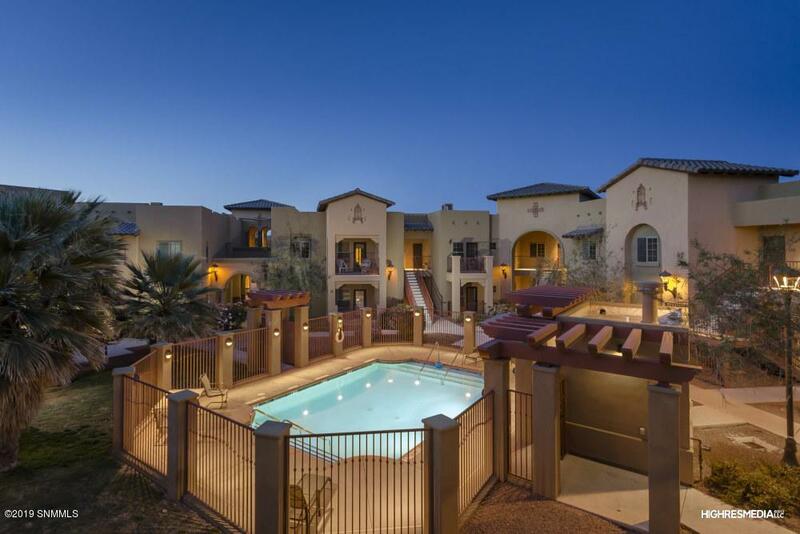 Fully furnished model like condo at The Luxury Villa Esperanza Condominiums located right at the gateway to Old Mesilla. This luxury 2 bedroom 2 bathroom condo features, granite throughout, custom cabinetry, stainless appliances, tray ceilings with wood beams, dual entry ways, along with access to many fine dining restaurants right next to the Mesilla Town Square.. The community is gated and equipped with a clubhouse including internet access, an exercise room with entertainment, and a wet bar. A fantastic pool is a centerpiece to the buildings' courtyard which includes barbecue units. A great investment opportunity being a turnkey VRBO or AirBnB , or new place to live. Call today to schedule a tour of this magnificent community. Listing provided courtesy of Michael Carpenter of Exit Realty Horizons: (575) 532-5678. All listing information was provided by Southern New Mexico Multiple Listing Service.